I am going to continue my ego strocking for another post and update you all on the latest round of media my new book is recieveing. 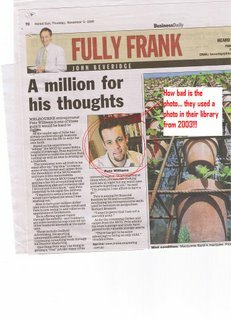 My good friend Scott Ginsberg - 'The Nametag Guy' kindly posted a blog about my Selling The 'G venture and the new book. Check out the blog here. Mike from Melbourne Neighbourhood Radio and I did an interview late last week which is featured on thier curent online radio show here. 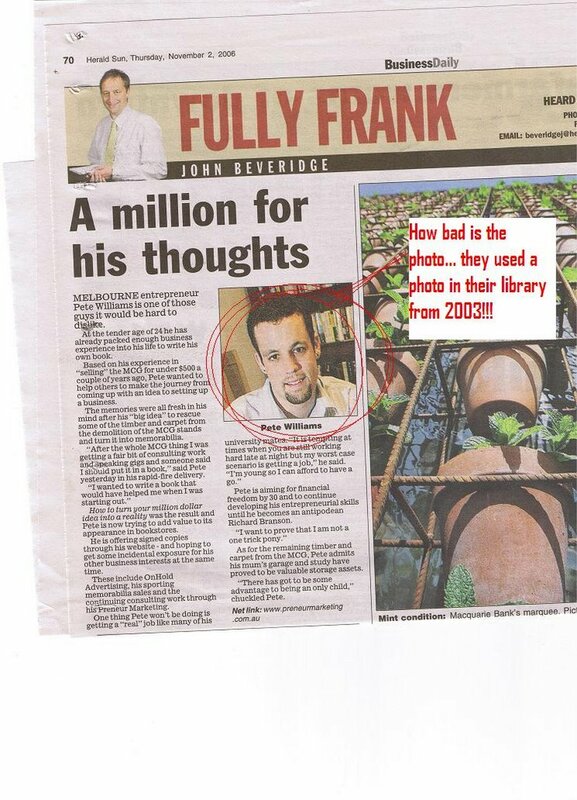 I was also featured in the Herald Suns Fully Frank Section last week - A big thank you to John Beveridge for the article. The article is below if you are interested.